Premiering for the first time in the world, Mitsubishi Heavy Industries Thermal Systems, Ltd., a Group company of Mitsubishi Heavy Industries, Ltd. (MHI), is adopting R454C, a refrigerant with an extremely low global warming potential (GWP), in a 1-horsepower (HP) class residential air-conditioner. Mitsubishi Heavy Industries Machine Tool Co., Ltd., a group company of Mitsubishi Heavy Industries, Ltd. (MHI) based in Ritto, Shiga Prefecture, has commercialized a metal 3D (three- dimensional) printer applying laser-based metal additive manufacturing technology, and delivery of the first unit was completed in March to the Industrial Research Center of Shiga Prefecture, which is also located in Ritto. 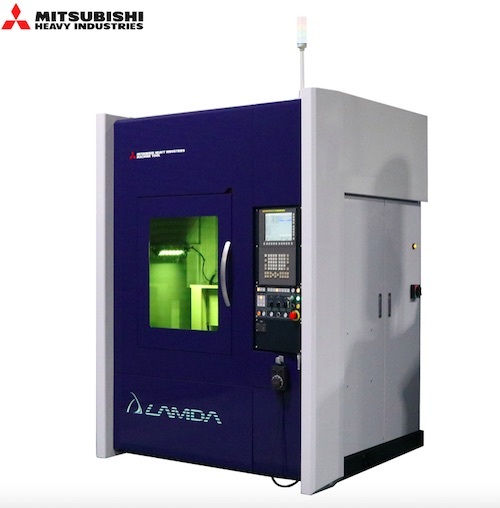 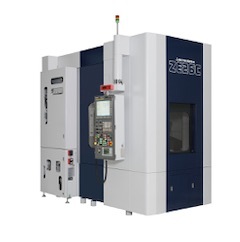 Mitsubishi Heavy Industries Machine Tool Co., Ltd. (MAT), a group company of Mitsubishi Heavy Industries, Ltd. (MHI) based in Japan, is ramping up its proposals of high-precision gear manufacturing systems for the Chinese market. Mitsubishi Heavy Industries, Ltd. (MHI) said today that it has reached an agreement with ExxonMobil and its co-venture partners to supply H-100 gas turbine and compressor packages for the Rovuma LNG Phase 1 project in Mozambique. 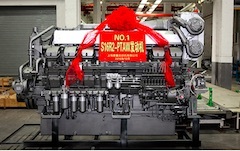 Mitsubishi Heavy Industries, Ltd. (MHI) held a ceremony this morning at Shinagawa Intercity Hall in Tokyo to formally welcome the employees joining the company this year. 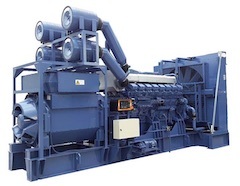 Mitsubishi Heavy Industries, Ltd. (MHI) has developed two firefighting robots: the "Water Cannon Robot" and the "Hose Extension Robot." 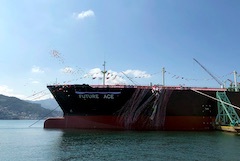 Mitsubishi Shipbuilding Co., Ltd., a Group company of Mitsubishi Heavy Industries, Ltd. (MHI) based in Yokohama, held a christening ceremony on March 12 for a liquefied petroleum gas (LPG) carrier currently under construction for JX Ocean Co., Ltd.
Mitsubishi Shipbuilding Co., Ltd., a Group company of Mitsubishi Heavy Industries, Ltd. (MHI) based in Yokohama, held a christening ceremony on February 21 for the next-generation LNG (liquefied natural gas) carrier currently under construction for Mitsui & Co., Ltd.
Mitsubishi Heavy Industries Thermal Systems, Ltd., a Group company of MHI, has established and launched operation of a joint venture with Nantong Hualong Construction Engineering Co., Ltd. (Nantong Hualong), a general contractor based in Jiangsu Province, to undertake installation and engineering services of centrifugal chillers, air-conditioners and heat pump water heaters throughout China. 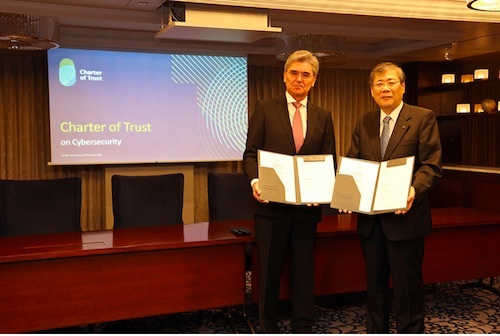 Mitsubishi Heavy Industries (MHI) signed a letter of intent to join the Charter of Trust for Cybersecurity in Tokyo today, expanding the Charter&apos;s reach into Asia. 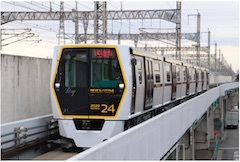 Mitsubishi Heavy Industries Engineering, Ltd. (MHIENG), a group member of Mitsubishi Heavy Industries, Ltd. (MHI), is to deliver an additional six railway carriages of an automated guideway transit (AGT) system for the "New Shuttle" transportation system operated by Saitama New Urban Transit Co., Ltd. in Saitama Prefecture. Effective June 2019, Mitsubishi Heavy Industries Ltd. (MHI) will terminate its current system of open-tenure Senior Executive Advisors and Executive Corporate Advisors. 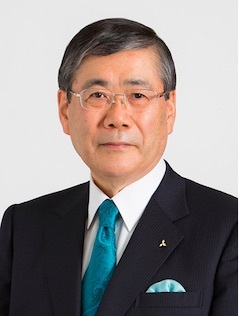 Mitsubishi Heavy Industries, Ltd. (MHI) announced executive-level personnel changes effective March 31 and April 1, 2019 and made nominations for Directors to be proposed to the 94th Ordinary General Meeting of Shareholders scheduled for June 27, 2019. 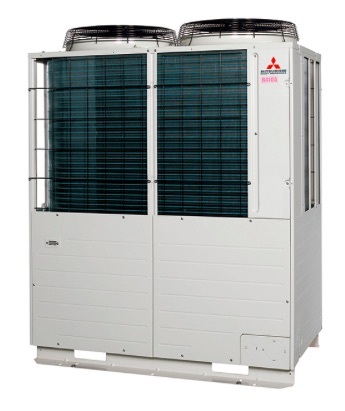 Mitsubishi Heavy Industries Thermal Systems, Ltd., a Group company of Mitsubishi Heavy Industries, Ltd. (MHI), has concluded an agreement with the shareholders of Form VRF Sistemleri Sanayi ve Ticaret A.&#350;., a Group company of Form Group, having manufacturing and sales and service facilities for heat pumps and air-conditioners in Istanbul, Turkey, to establish a joint venture to provide sales and servicing for air-conditioning and refrigeration systems. In February 2018, Mitsubishi Heavy Industries America&apos;s (MHIA) SkyConnect APM opened for passenger service at Tampa International Airport (TPA). 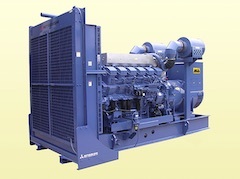 Mitsubishi Heavy Industries Engine & Turbocharger, Ltd. (MHIET), a Group member of Mitsubishi Heavy Industries, Ltd. (MHI), is to undertake major expansion of its product lineup made and sold through Shanghai MHI Engine Co., Ltd. (SME), its joint venture with a local manufacturer and marketer of diesel engines based in Shanghai, China. Mitsubishi Shipbuilding Holds Christening Ceremony for Next-Generation LNG Carrier "NOHSHU MARU"
Mitsubishi Shipbuilding Co., Ltd., a Group company of Mitsubishi Heavy Industries, Ltd. (MHI) based in Yokohama, held a christening ceremony today for a next-generation LNG (liquefied natural gas) carrier under construction for TRANS PACIFIC SHIPPING 5 LTD., a joint venture of JERA Co., Inc. (JERA) and Mitsui O.S.K. 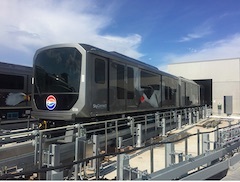 Lines, Ltd. (MOL). 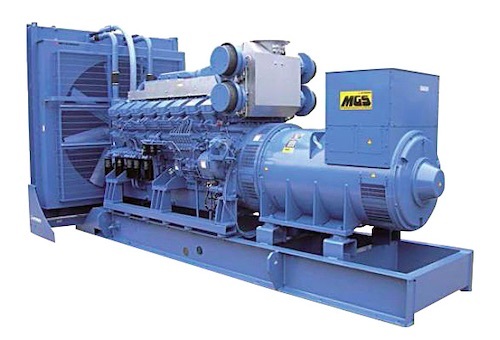 MHIET, a Group member of MHI, has delivered two MGS (Mitsubishi Generator Series) diesel generator sets for backup emergency use at Intercontinental Shanghai Wonderland, a hotel opened on the site of an abandoned quarry in the Songjiang District of Shanghai. Mitsubishi Heavy Industries, Ltd. (MHI) President and CEO Shunichi Miyanaga delivered an address to employees, commencing the New Year. Sumitomo Corporation and its partner Mitsubishi Heavy Industries Engineering, Ltd. have received an order from the Philippines&apos; Department of Transportation (DOTr) for a rehabilitation and maintenance project on the Manila Metro Rail Transit System Line 3 (MRT-3) in the Philippines capital city. Mitsubishi Aircraft Corporation announced today that it has received Type Inspection Authorization (TIA) from the Japanese Civil Aviation Bureau (JCAB) for the company&apos;s Mitsubishi Regional Jet (MRJ) program. 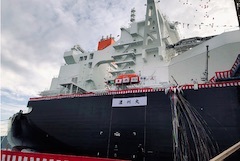 Mitsubishi Shipbuilding Co., Ltd., a Group company of Mitsubishi Heavy Industries, Ltd. (MHI) based in Yokohama, held a christening ceremony yesterday for a liquefied petroleum gas (LPG) carrier currently under construction for Astomos Energy Corporation. 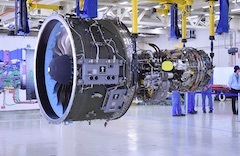 The MHIAEL facility, located in Komaki, Japan, will be one of two production assembly and test sites for the PW1200G engine. 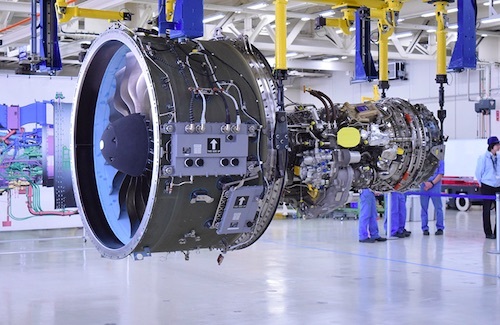 The engine is also assembled and tested at Pratt & Whitney&apos;s Mirabel Aerospace Center in Canada. 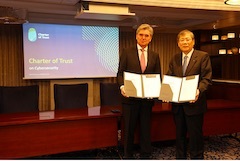 MHIAEL was established in 2014. (MHI) has canceled 50 billion yen of the total debt owed to it by Mitsubishi Aircraft and taken over the company&apos;s subscription shares in their entirety. 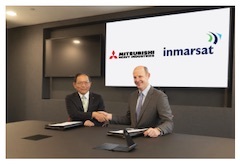 Inmarsat has today announced that it has entered into an agreement with Mitsubishi Heavy Industries, Ltd. (MHI) to be the first commercial customer to place an order for the new H3 launch vehicle. 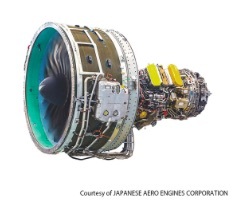 Mitsubishi Heavy Industries Aero Engine, Ltd. (MHIAEL), a group company of Mitsubishi Heavy Industries, Ltd. (MHI) based in Aichi Prefecture, will join maintenance, repair and overhaul (MRO) operations for the PW1100G-JM aero engines. MHIES-P, a company operated in the Philippines by MHIET, a Group member of MHI, has delivered two MGS (Mitsubishi Generator Series) diesel generator sets to SM Center Ormoc, a commercial facility newly opened in the city of Ormoc on the west coast of the Philippines&apos; Leyte Island. MHIES-V, a production base of diesel generator sets in Vietnam operated by MHIET, a Group company of Mitsubishi Heavy Industries, Ltd. (MHI), held a ceremony at the site to commemorate the 10th anniversary of its production launch in 2008.